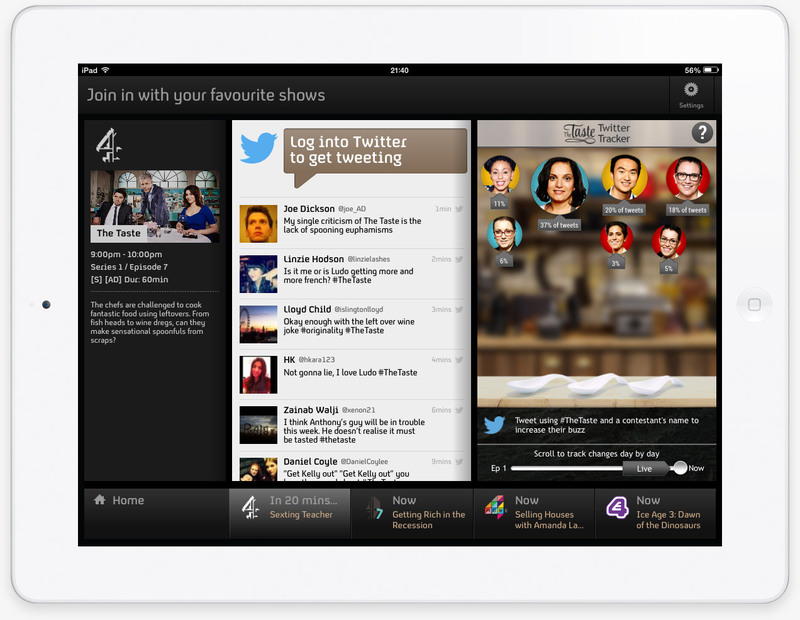 I was the Lead Designer of the Channel 4 Twitter Tracker for the 4Now iPhone and iPad app. 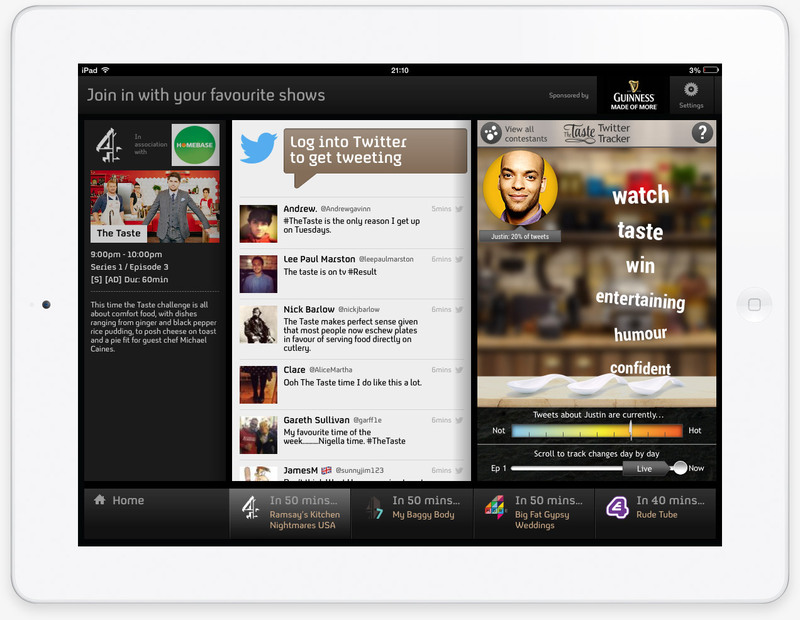 It was used as a second screen app for Channel 4’s programmes The Taste and The Jump. 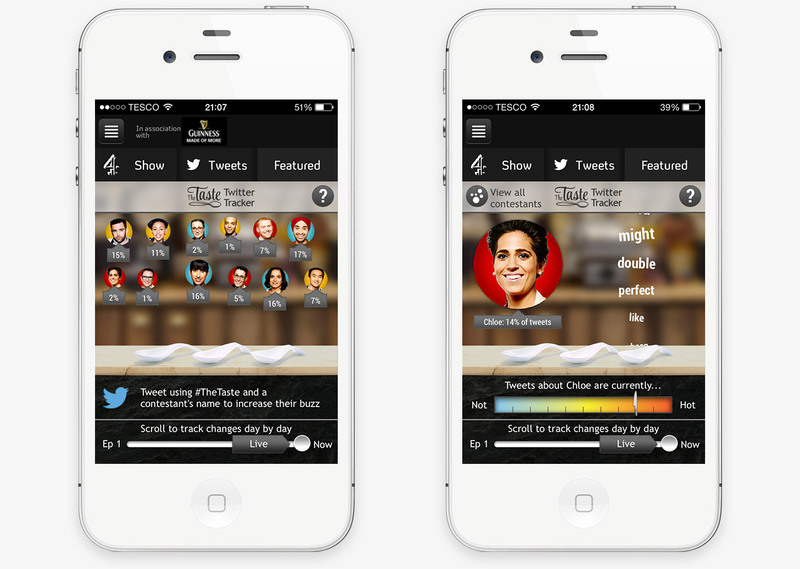 The app tracked contestants’ popularity on Twitter and the sentiments that were being Tweeted about them. Users could Tweet using the relevant hashtag to influence the contestants’ ratings. Designed while working at Corporation Pop.